It's an ugly thing, and one that sadly rears its head from time to time when big games are released: the practice of a publisher exerting a little too much pressure on gaming press. Of course, pressure is applied all the time! That's the people in marketing and PR's job, to try and make sure their game is well-received. But there's a point where that pressure stops being a mild annoyance, one easily shrugged off, and becomes something obstructive and distasteful. 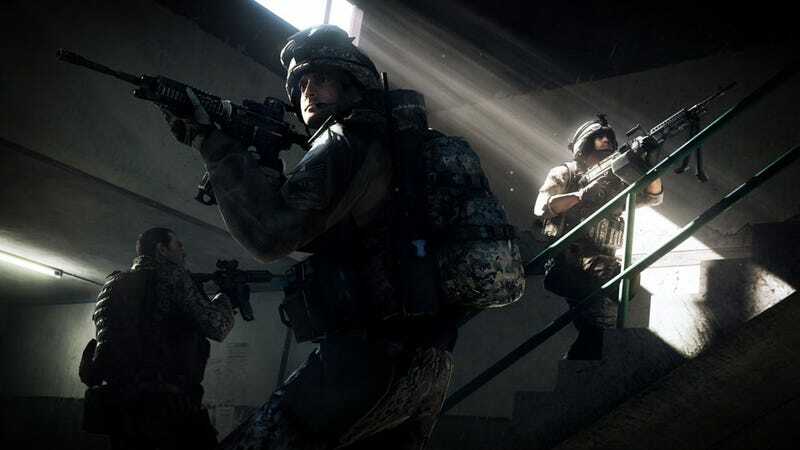 Some EA reps in Europe seem to have crossed that line when it comes to Battlefield 3. Each question may seem harmless on its own, but together they make it clear the publisher was trying to filter the reviews so they'd be handled by people that would be pre-determined to give the game a positive score and/or slag off Modern Warfare 3 in the process. So clear, in fact, that rather than deny the fact, or soften it, EA Norway marketing manager Oliver Sveen came out and said, "It is a human error that was sent out. We have made a mistake and we apologize. It is not something that should have happened earlier or [that] we intend to continue." It's nice he apologised, I guess, but calling it "human error" is a bit rich. Human error is sending out a press release with typos in it. This kind of business is more like "institutional error". It's also sad, as rather than enhance a game's reception, it can lead to doubts that the game is good enough to earn great scores on its own merits. For the record, my request for a copy from EA Australia was met with two questions: If my mailing address is still my mailing address, and which platform I want it on.